Mr. Fix-it is a handyman service committed to helping homeowners, home buyers, and home sellers with those small projects around the house, as well as the bigger projects that may be overwhelming. Have a home remodel dream? Let's chat. 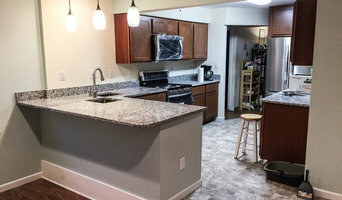 Creative Renovations & Building, Inc.
Morganco Remodeling has become a trusted source for quality custom building and renovation work in the St. Louis area. With over 40 years of experience we have the know-how to complete your project. Whether it be new construction, kitchens, baths, flooring, or exterior work, Morganco Remodeling can get the job done right. We have a very high standard for our work, and you’ll see this throughout your project. StreamLine Home Services, LLC is a family owned, full-service, general contractor. We specialize in both indoor and outdoor home improvements and remodeling. We value our customers' happiness. For that very reason, we work hard to make whatever project you may have, fit into your budget while still providing high quality products and finishings that will hold their value and stand up to the tests of time. We have close relationships with local showrooms in the Greater St. Louis/St. Charles area, where we are able to give you a hands on example of what all of your personal choices will look like in your home. After working at several other contracting companies, our owner decided to step out on his own. He wanted to change the fact that many times customers are not put first, and are often disappointed with the results of their spaces. By being a small, family-owned company, we strive to build relationships with every customer, to help ensure that everyone is left happy and proud of their newly updated home. Klemme Construction is a full service, residential and commercial construction company. We specialize in new construction, remodeling, and design-build services. We offer the experience and knowledge to navigate any construction project, large or small, simple or complex. We’re committed to maintaining the highest standards of craftsmanship and customer service, ensuring well-defined competitive costs, and performing our work right the first time, every time. Founded in 2001, Klemme Construction is a family owned, multi-service construction company serving the Illinois Metro East and Greater St. Louis areas for over 17 years. During that time, we’ve remained committed to delivering first-class customer service and quality craftsmanship, supporting our community and industry organizations, and maintaining a family culture and enjoyable workplace for our employees. We operate across the metro-east Illinois and Greater St. Louis areas. Illinois locations we serve include, but are not limited to, Belleville, Millstadt, Smithton, Mascoutah, New Baden, Lebanon, Highland, Trenton, O’Fallon, Swansea, Fairview Heights, Shiloh, Caseyville, Collinsville, Glen Carbon, Edwardsville, Troy, Maryville, Granite City, Columbia, Waterloo, and Freeburg. Missouri locations we serve include, but are not limited to, South County, Oakville, Mehlville, Sunset Hills, Soulard, Shaw, The Hill, Shrewsbury, Maplewood, Richmond Heights, Webster Groves, University City, Crestwood, Tower Grove, Brentwood, Clayton, Ladue, Kirkwood, Ballwin, Town and Country, Des Peres, Creve Coeur, Chesterfield, St. Charles, and Wildwood. Remodels & Additions ~ Growing & changing with you and your home. Daryl L. Patterson, Inc., we have been offering expert home improvement services at affordable rates since 1975, making homes more beautiful and energy efficient. From interior remodeling to siding and roofing, our professional craftsmen will get your job done right the first time, on time and within your budget. Our skilled and dependable team works on basements, kitchens, bathroom remodeling projects, room additions and much more. Let Daryl L. Patterson, Inc., show you the difference expert craftsmanship and family values can make. Call today! A. Eilers Construction is a full-service general contractor that does both commercial and residential construction. We are licensed, bonded, and insured. We can handle projects anywhere from $0 to $5 million and our services include pre-construction planning, design/build, general contracting, and construction management. Our market sectors include educational, government, healthcare, hospitality, industrial, office, retail, entertainment, and institutional. 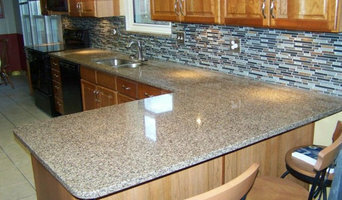 On the residential side we handle kitchen remodels, bath remodels, additions, decks, garages, new homes, and full-rehabs. We do a lot of the work ourselves, we have the ability to do the following functions: rough carpentry, metal stud framing, insulation, drywall, painting, finish carpentry, install doors and windows, and so much more. Masonry & Glass Systems Inc is your best source for beautiful, high-quality replacement windows, exterior doors, glass block windows, and glass block showers in the Saint Louis, MO area. Our goal with every project is complete customer satisfaction. We provide attentive service, professional design guidance, and expert installation. In addition, we only carry products that meet our strict standards for quality, performance, beauty, and efficiency. We partner with top brands including Soft-Lite Windows, Sunrise Windows, and Pro Via Doors. Our company was founded in 1980, and quickly became an industry leader in distributing and fabricating glass block products. We opened our first location in Saint Louis, MO, and have since grown with additional locations in Houston, TX and San Antonio, TX. In 1993 we expanded our services and products to include window and door replacement. We are also a distributor for the mold-proof and leakproof Wedi Shower System. In addition, our services include basement security windows, glass floors and gutter protection. If you are building a new home or looking to renovate, having new windows installed is a great way to add immediate value, enhance the look and comfort of your home, and improve energy efficiency. Masonry & Glass Systems Inc carries vinyl windows, fiberglass windows, and security windows in a large variety of styles, colors, and glass options. Our experienced team can help you find the replacement windows that best meet your needs and budget. You can trust our craftsmen to provide superior installation for your new windows in a timely and thorough manner. 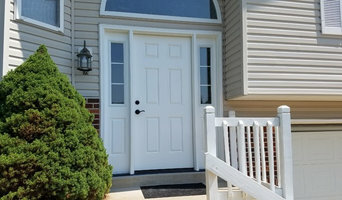 We would love to help with your replacement door project. Whether you are looking for entry doors, patio doors, French doors, or storm doors, we are sure to have the products you are looking for. The doors we carry are energy star qualified and manufactured with top-of-the line materials. If you are looking for basement or bathroom windows that will brighten the room with natural light while providing privacy and style, Masonry & Glass Systems Inc can help you select the perfect glass block windows. Our glass block windows are maintenance-free and installed for optimal energy efficiency. Call us today at (314) 535-6515 for your window, door, or glass block needs. Butler Home Improvement (BHI) is a locally owned and independently operated interior and exterior remodeling company that has been providing homeowners with high-quality home improvement services for over two decades! Our promise to clients is to provide care, choice, and craftsmanship when performing remodeling services. An award winning local company. We pride ourselves on NO HIGH PRESSURE SALES. Whether you are looking for a sunroom, new deck, replacement windows, a patio cover or siding, the team at Butler Home Improvement will work hard to exceed your expectations. While the skills and craftsmanship of our team are known to be exceptional, clients are often surprised by our pleasant demeanor, manners, and neatness. By nature, remodeling is invasive into the private lives of our clients. As wonderful as we are, there will be days when you’re going to wish nobody was in your home. We want you to feel comfortable with and enjoy the people that you’ll come in contact with daily. As a family owned local small business, our focus is on impeccable quality and fantastic experience for our clients. Our goal is to help you make your housing dreams come true. MJM is a family-owned and operated full service general contractor. With over 25 years of combined experience we offer only the best quality at affordable prices. MJM is a full service general contractor servicing the entire St. Louis area. If you are in need a full home renovation or just have a punch list of the little odds and ends that have been piling up for months, give us a call. There is no job to big or small for the MJM Team. The blueprint to our success is providing each and every client with better service, quality and value than our competitors. Customer satisfaction is ingrained into the very foundation of our company and is shared by our entire MJM Team. Our goal is to provide a finished product that exceeds you expectations. We WIll Be Here Tomorrow, To Stand Behind What We Did Today! 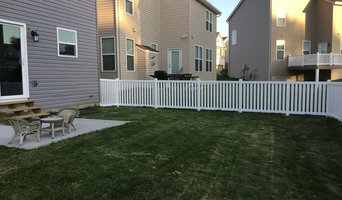 Residential and commercial contractor providing services for your home or business, inside and out. We can handle any project large or small. Specializing in custom carpentry, bathroom, and kitchen remodels. Free estimates, fully insured, and ready to work with you to make your home or business special.